one TEAM, ONE goal: Gold in tokyo. 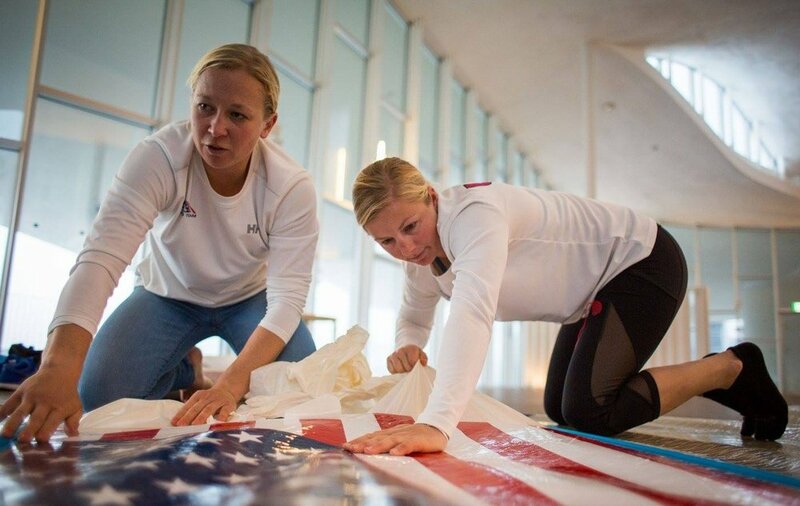 Steph and Maggie met as Laser Radial competitors during high school, became great friends and ultimately teammates on the 29er, 420 and professional match racing circuit. This Midwestern duo has been competing with and against each other for 14 years now. Along the way we hope to do more than stand on a podium. We’ve been inspired by the strong women who have carved a path in the sport of sailing and the pro sailing industry. We hope to build on the progress they've made and increase the opportunities for the next generation of females in our sport. We hold ourselves to the highest standard of sportsmanship on the water, and off the water - all around the world - we try to be respectful representatives of the US Sailing Team. We hope to inspire the next generation of female to do the same. In the coming months and years we look to pursue our greatest dream at the biggest and best sporting event on the planet. We promise to demonstrate to our peers, family, friends and country that not only do we have what it takes, but that we will give everything in its pursuit.